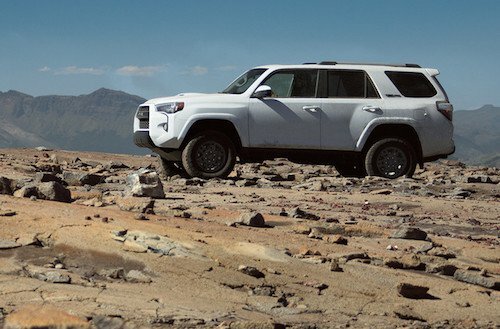 If you are shopping for a Toyota 4Runner in Concord, New Hampshire take a look at our inventory of new Toyota 4Runner SUVs for sale near Concord.We offer a selection of new Toyota vehicles for sale as well as a full inventory of pre-owned cars, often including used Toyota 4Runner models. See our new and used inventory for MSRP, photos, vehicle details and trim options. Toyota sales and leasing as well as affordable used car finance options are available at our dealership. Our auto finance experts will help you find new Toyota specials or factory incentives or used car deals that will save you money and reduce your monthly payments. Our Toyota dealer team is committed to your total satisfaction. We invite you to stop by, tour our showroom and test drive a Toyota 4 Runner near Concord, NH today.